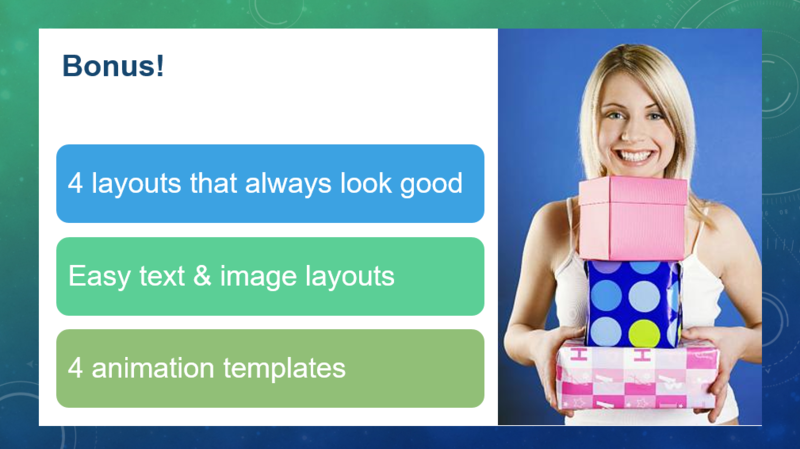 Once you create a great slide layout for a presentation, you can use that slide over and over by changing the text and the image. This technique will save you an amazing amount of time and make your workflow easier. For example, this slide is simple but useful for many situations. You can add it to a slide library and copy it into any new presentation to reuse it. By a slide library, I mean any presentation that contains slides that you might want to reuse. You can purchase slide library software, such as slideboxx and others, but you can also keep your best slides in an easily accessible folder on your computer. Click the body text, which is SmartArt. Usually, the “Type your text here” box opens on the left, but if not, click the small arrow on the left side of the SmartArt border. In the box, simply change the text. To add an item, place your cursor after the last item and press Enter. To delete an item, select its text and press the Backspace key. Choose an image with a similar shape. For example, in the example above, you want to choose a vertical image. Click Open to replace the image. You may need to resize it if the proportions of the new image are different. What’s so cool about the Change Picture feature is that the new picture has the same formatting as the old one. So if your original image had a shadow, the new image has the same shadow. Here you see an example. 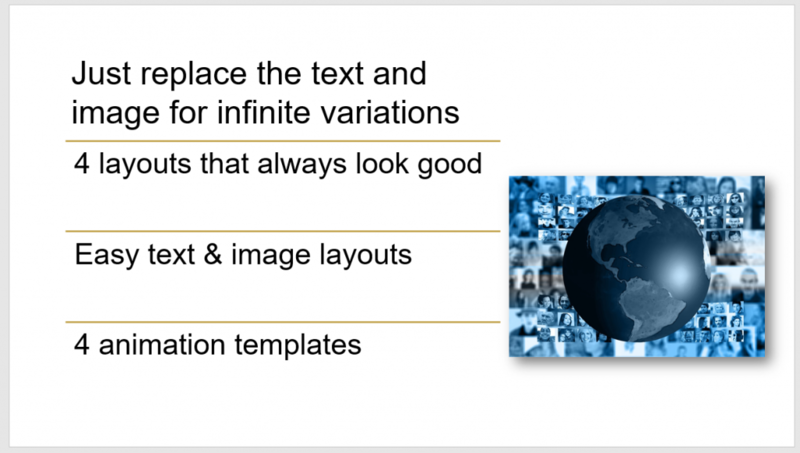 How do you save time with slide layout? Do you save your best slides to reuse? Do you have another technique? 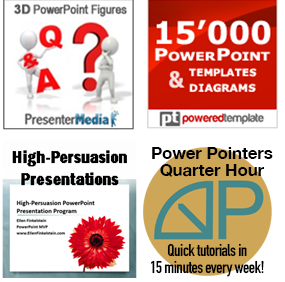 Leave a comment and please share this post with other presenters using the Share buttons.